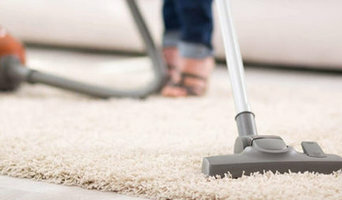 Squeaky Clean Carpet in Sydney is a place where you will get the best carpet cleaning service including Water Damage Restoration Sydney, Fire and Flood Damage Carpet Restoration in Sydney, Emergency Water Damage Restoration Service in Sydney, Carpet Flood Restoration, Carpet Water Extraction, Carpet Flood Recovery, Carpet Water Removal and more. Generally, many bacteria and germs grow on dirty carpets and it causes many health problems to prevent your family and kids health from these type of diseases you must hire professional carpet cleaners. That is why we are here for you. Reach us online to get the best services or call on 0414 354 432 for same day bookings. Have you ever notice dirty stains, iron burns, and germs that stay on your carpets? It’s not hygienic to leave your carpets as it is. You should hire professionals to clean your carpet properly. You can also hire Sams Cleaning Sydney for carpet cleaning services. We give all kinds of carpet cleaning services like Professional carpet repairers, Trained carpet repairers, Carpet repairing services in Sydney, Stain removal from carpets, Carpet repair service. 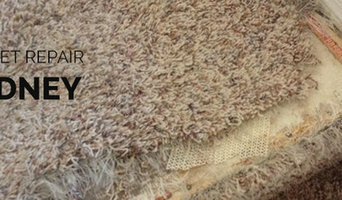 Carpet Repair Sydney- Sams Cleaning Sydney also offers services for carpet repair and renewal in Sydney. Our professional carpet cleaners are experienced and well know, how to clean your carpet perfectly. Just call us at 0414 354 432 for superior carpet cleaning services. Welcome to Carpet Clean Master Company!! We have been providing our reputed and professional carpet cleaning services in cities of Australia including Canberra, Sydney, and Brisbane. 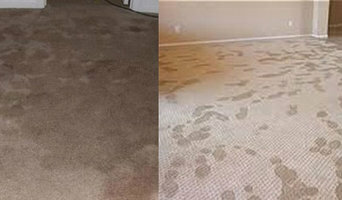 Carpet Clean Master is appreciated for its hard-working staff and professional carpet cleaning services. Our professionals well know how to clean your carpet with best and appropriate cleaning procedures. Thus, we always utilise the advanced, latest equipment and quality cleaning solutions to clean the carpets professionally. Our professionals are expert to clean all types of carpet. No, matter how dirty carpet you have. Our professionals can clean your carpet by using a professional process. So, call us 0414 354 432 and get free quotes on our services. Same Day Carpet Cleaning is a place where you will get the authentic carpet repairing service including carpet flood water restoration Sydney, flood water restoration, flood water restoration Sydney, Carpet Cleaning Sydney, Wet Carpet Cleaning Sydney, Carpet Water Extraction and more. Normally, few bacteria and pathogens develop on dirty carpets and it causes sundry health problems. We have been repairing flood-damaged carpet in Sydney for years so you don't need to worry about the service. You can reach us online to get the guaranteed services or you can call us on 0414 354 432 for same day booking services. At Koala Cleaning Sydney - We have been helping our customers and possess many years of experience. While providing Flood Water Damage Restoration Sydney we have ascertained the best methods and determine many plans. We provide Emergency Carpet Flood Water Damage Sydney, Carpet Flood Water Damage Restoration Sydney, Flood Water Damage Restoration Sydney, Carpet Flood Water Damage, Carpet Fire damage restoration Sydney, Water extraction services Sydney and more. Our helpful crew is always keen to accommodate outstanding carpet repairing services. We at Koala Cleaning Sydney are trained enough to take protection for your expensive carpets. We render carpet repair services all across Sydney! Call 0414 354 432 for same day booking services. 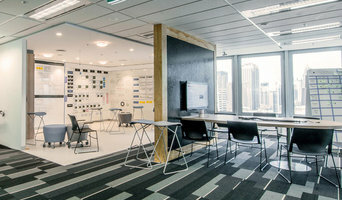 Carpet Clean Master is a place where you will get the reliable carpet repairing service such as Emergency Carpet Flood Water Damage Sydney, Carpet Flood Water Damage Restoration Sydney, Flood Water Damage Restoration Sydney, Carpet Flood Water Damage, Carpet Fire damage restoration Sydney, Water extraction services Sydney and more. Usually, some bacteria and pathogens evolve on tainted carpets and it causes several health problems. To protect your family and kids health from this type of problems you must hire professional carpet repairers That is why we are here for you. You can reach us online to get the assured services or you can call us on 0414 354 432 for same day booking services. Whether you live in a studio apartment or a 5-bedroom home, TidyMe provides a full service, thorough house clean. Request for an entire home clean or just select the rooms that you want cleaned. TidyMe will make sure that you come back to a sparkling home. TidyMe makes sure that all floors are vacuumed and mopped, all surfaces are wiped and dusted and all items left tidy and organised. They will change the bed linen, thoroughly clean all showers, toilets and bathtubs, make sure all kitchen surfaces are disinfected and sparkling and all dishes washed, dried and stored neatly. All cleaners have a checklist with basic tasks. You can use this to add specific tasks or give instructions if you want things done a particular way. Our goal is to ensure that you can relax in a clean home. For Skip Bins Hire, there is nothing more important than our client’s satisfaction. To assist you at every point, our team members are available to solve all your enquiries. Being highly dedicated to provide excellent customer service, we assure value for money. Carpet Cleaning Services Sydney helps owners and tenants restore floors to their natural beauty. We use a wide range of techniques to cater for customers varying flooring materials and allergy needs. Phelan Cleaning Services (PCS) is a boutique cleaning company which offers comprehensive residential, retail and commercial cleaning services. Services include residential cleaning of your home and construction cleaning. We are the most experienced and reliable cleaners and will help make your property look the best it can. Welcome! Whether it is, getting your home reorganized from the closet to the office, managing your housekeeping chores, cleaning everyday mess or styling and preparing your house up for sale, we are here to help you every step of the way. We offer personalized housekeeping solutions for busy households, families and individuals that enjoy living in a harmonic, clean and beautiful homes but don't have the time to do it themselves. Elite Housekeeping has been around since 2010, so we really mean it when we say we are here to help you.